Visit Elba by crewed yacht charter which is always the easiest way to visit any island. 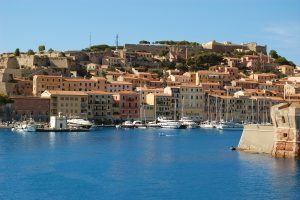 In fact, Elba is a rather large island and has several ports, so a circumnavigation while on yacht charter is one of the best ways to see this island. The largest of the Tuscan Islands, Elba is divided into 8 municipalities and is the third largest island in Italy. Once Napoleon Bonaparte’s island prison between his first and second period of ruling France, this island has a significant place in history. 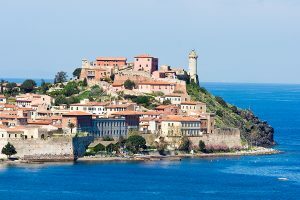 With several coastal ports and great anchorages, Elba is a great spot to explore on a crewed yacht charter of the Tyrrhenian and Ligurian Seas of Italy. 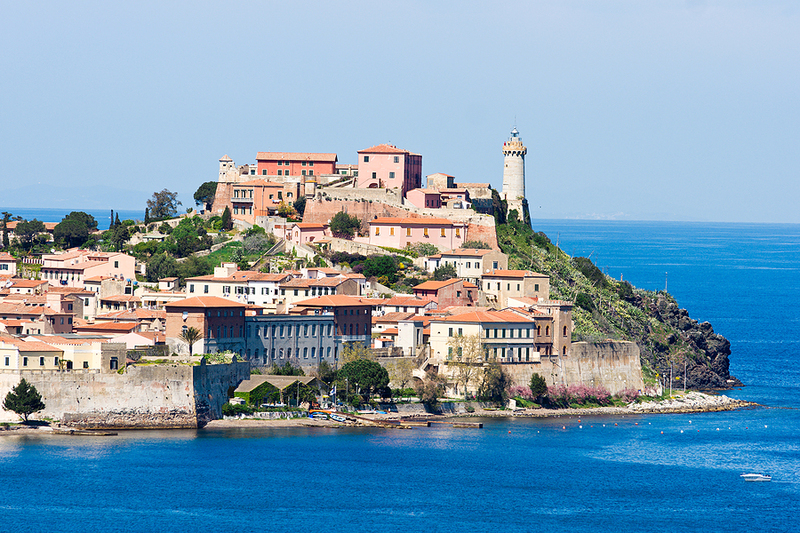 In 1802, Elba became a territory of France. Napoleon Bonaparte was forced to abdicate as Emperor of France after the Treaty of Fontainebleau in 1814 and forced into exile on Elba, arriving in Portoferraio on May 3, 1814. During his exile, Napoleon was the stated sovereign; however the island was continually patrolled by the British Navy. As the sovereign, Napoleon did instigate a series of economic and social reforms, however only stayed for 300 days before slipping off of the island and back to Paris to again be Emperor of France until his defeat at Waterloo shortly after. After his defeat at Waterloo, Napoleon was sent to the barren and isolated island south Atlantic island of Saint Helena. In 1860, Elba became a part of Italy. 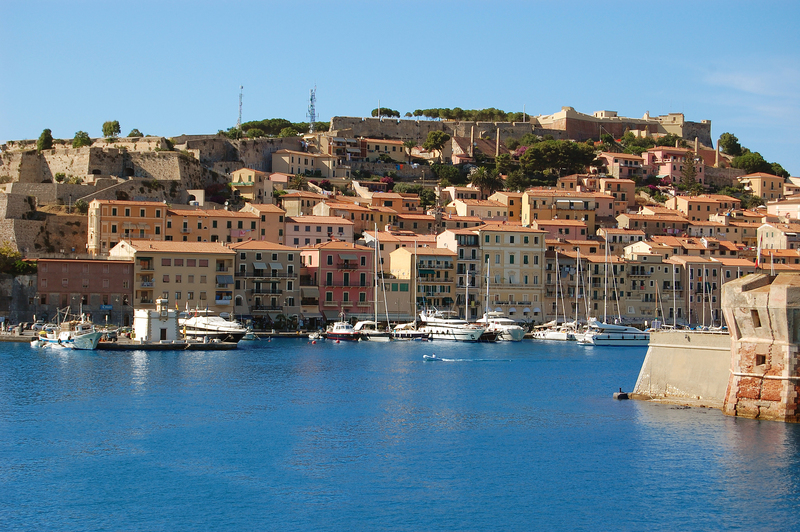 Portoferraio is the capital town and largest port on the island and still bears the imprint of Napoleon’s stay. On the southeastern side of the island is the smaller port of Porto Azzurro. And around the island are many anchorages with the crystal clear waters for which this area is known offering great snorkeling and refreshing swimming. 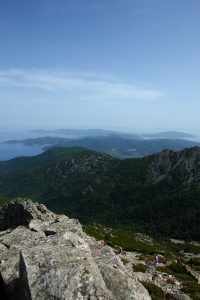 For the athletically inclined, hike up to the top of Monte Capanne, the highest peak and be rewarded with a spectacular view of Elba, the mainland of Italy, and the surrounding islands of Corsica, Capraia, Monte Cristo and Pianosa. For the historically inclined tour the Palazinna dei Mulini which was the official home of Napoleon and his sister Paolina during their 300 day time period and contains many personal items left behind during their hasty departure. And close by is the Villa San Martino, which can also be toured which was the Bonaparte “summer home”. Elba is a picturesque pine covered island that offers great bicycling and touring by car or with the extensive coastline, exploring by ship’s tender.